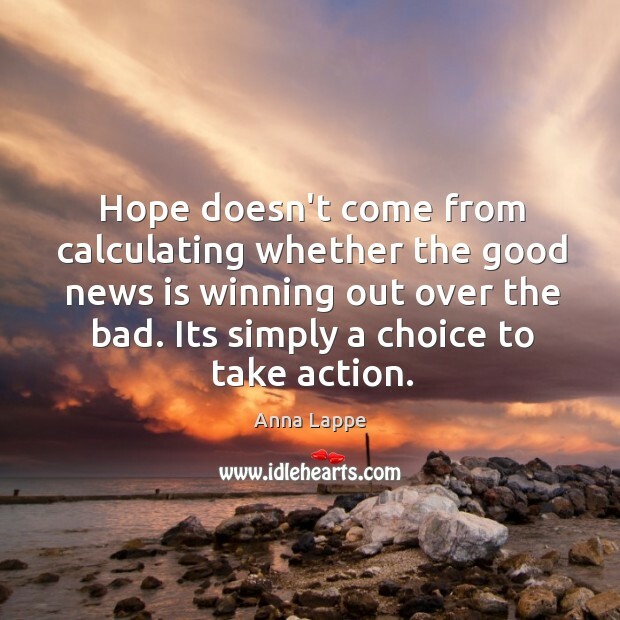 Enjoy the best inspirational, motivational, positive, funny and famous quotes by Anna Lappe. Use words and picture quotations to push forward and inspire you keep going in life! 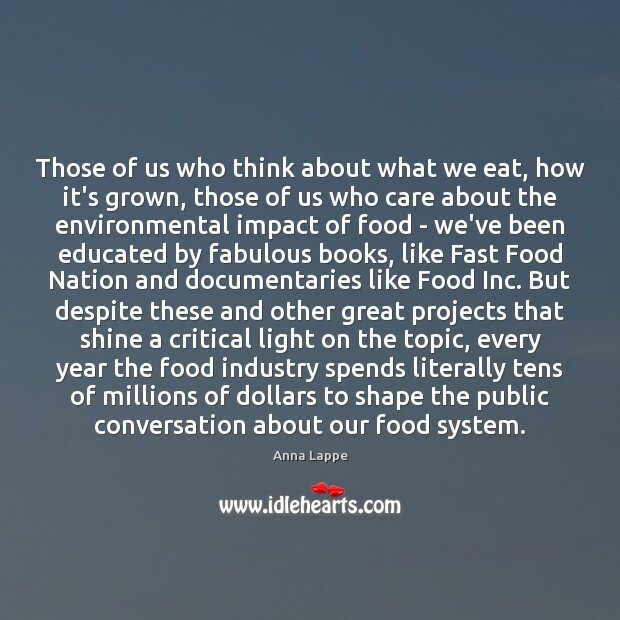 Those of us who think about what we eat, how it's grown, those of us who care about the environmental impact of food - we've been educated by fabulous books, like Fast Food Nation and documentaries like Food Inc. But despite these and other great projects that shine a critical light on the topic, every year the food industry spends literally tens of millions of dollars to shape the public conversation about our food system. 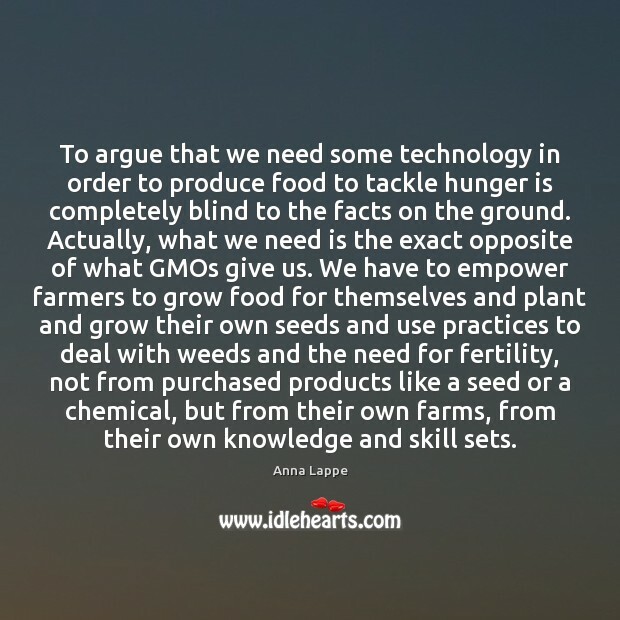 To argue that we need some technology in order to produce food to tackle hunger is completely blind to the facts on the ground. Actually, what we need is the exact opposite of what GMOs give us. We have to empower farmers to grow food for themselves and plant and grow their own seeds and use practices to deal with weeds and the need for fertility, not from purchased products like a seed or a chemical, but from their own farms, from their own knowledge and skill sets. 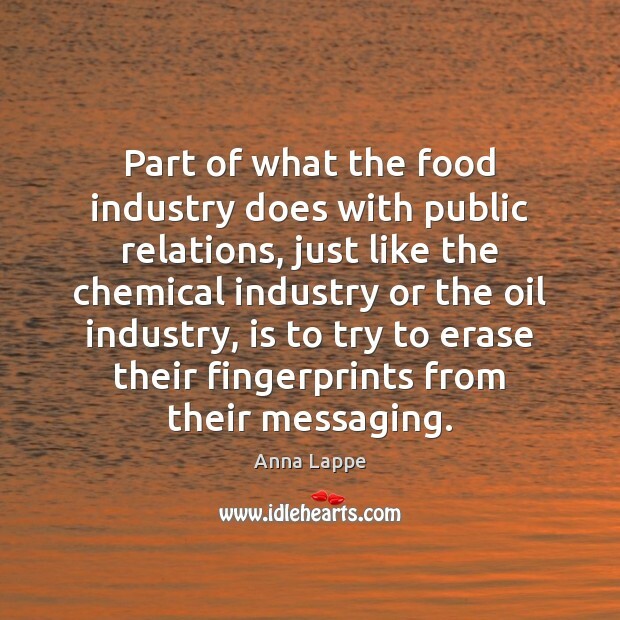 Part of what the food industry does with public relations, just like the chemical industry or the oil industry, is to try to erase their fingerprints from their messaging. People don't realize how much the food industry has infiltrated all aspects of our children's lived experience, including their experience at school. 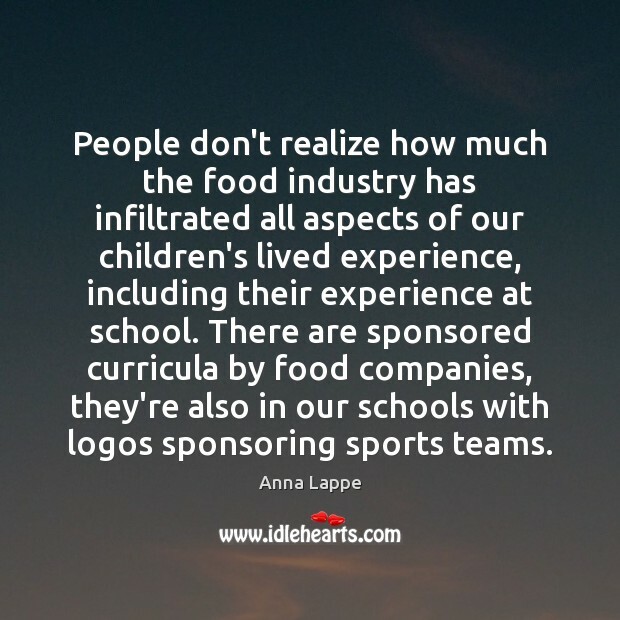 There are sponsored curricula by food companies, they're also in our schools with logos sponsoring sports teams. 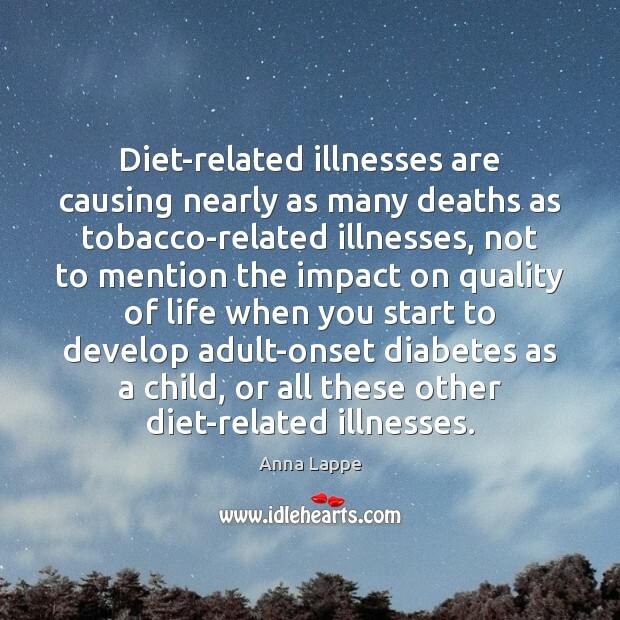 Diet-related illnesses are causing nearly as many deaths as tobacco-related illnesses, not to mention the impact on quality of life when you start to develop adult-onset diabetes as a child, or all these other diet-related illnesses. 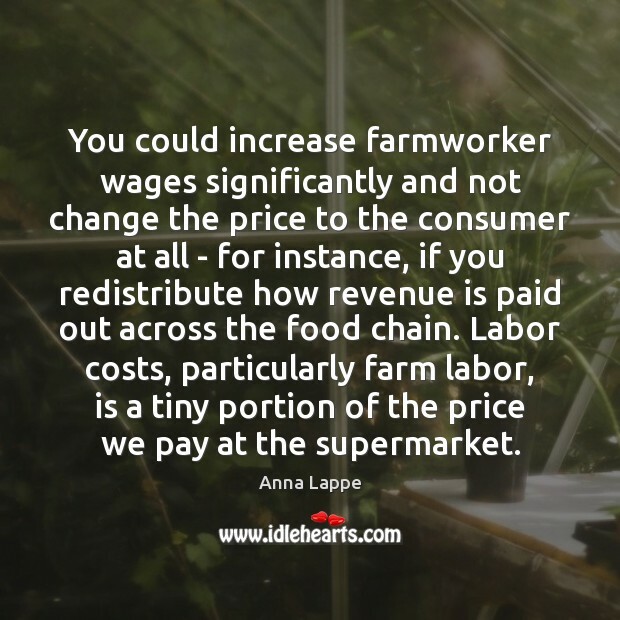 You could increase farmworker wages significantly and not change the price to the consumer at all - for instance, if you redistribute how revenue is paid out across the food chain. Labor costs, particularly farm labor, is a tiny portion of the price we pay at the supermarket. 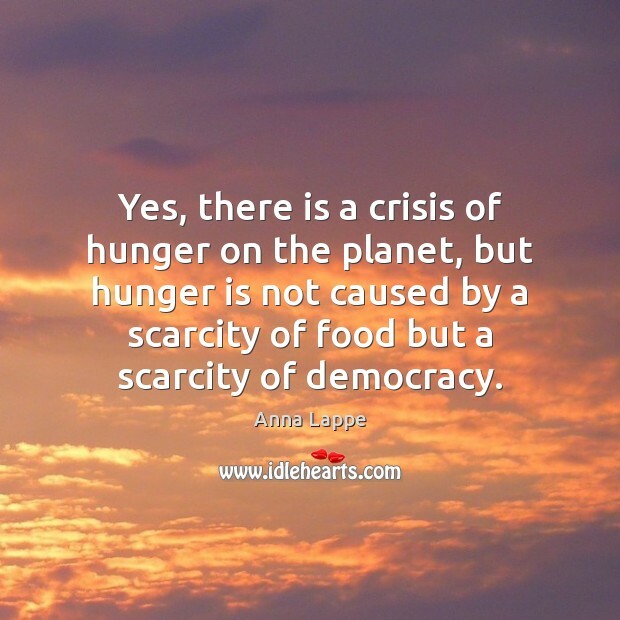 Yes, there is a crisis of hunger on the planet, but hunger is not caused by a scarcity of food but a scarcity of democracy. Hope doesn't come from calculating whether the good news is winning out over the bad. 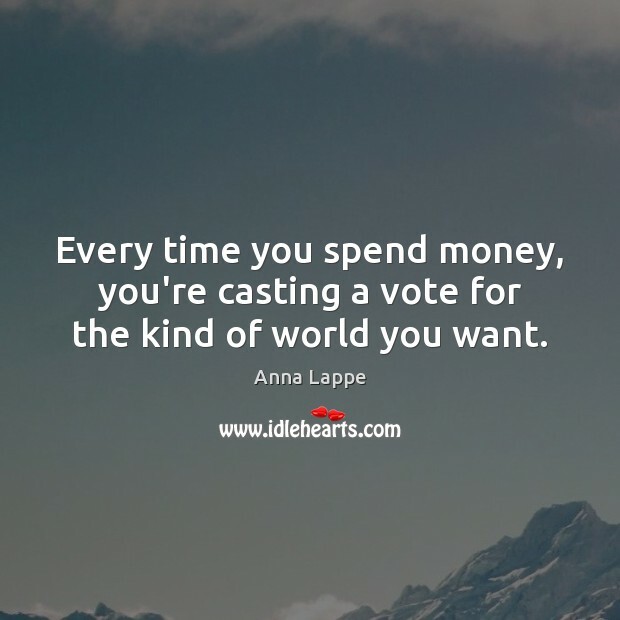 Its simply a choice to take action.